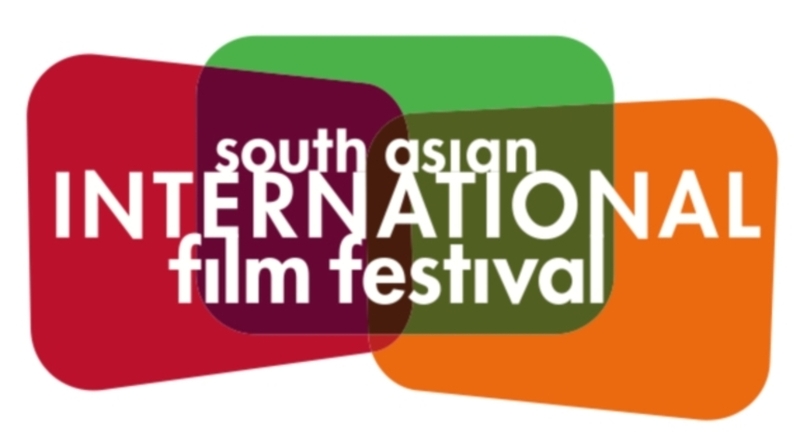 The 10th Annual South Asian International Film Festival Announces Its Lineup! I feel very fortunate to have been able to cover New York's SAIFF for the last three years, and this fourth go around looks like it's going to be as great as ever. Yesterday SAIFF 2013 announced its complete line up, including special presentations and having seen a couple of the films already, I'm very excited for anyone who gets to attend in person. Leading the selections are Amit Kumar's Monsoon Shootout, a film I programmed for Fantastic Fest 2013, India's controversial Oscar submission Gyan Correa's The Good Road, Q's psychedelic return to narrative features, Tasher Desh, and Richie Mehta's Siddarth, a film that premiered to unanimous praise at TIFF this year. Twitch will be covering the festival again this year, so you can count on reviews of all of the big titles, and hopefully even a few of the underdogs. Let's just hope that we avoid hurricane season this year. In the meantime, checkout the complete line up below. NEW YORK CITY November 06, 2012 - The South Asian International Film Festival, presented by HBO, celebrates its tenth amazing year by delivering even more of the very best in South Asia's most original, daring, and exciting cinema! Running from December 3rd through the 8th, SAIFF 2013 features ten thrilling premieres, acclaimed international guests, and the hotly-anticipated Festival Awards Gala! On the third of December, SAIFF 2013 celebrates its Opening Night with the NYC premiere of MONSOON SHOOTOUT, showcasing the Cannes and Fantastic Fest hit that has film noir fans around the world cheering! Midway through the fest, SAIFF invites you experience their celebrated 2013 Centerpiece title, Pakistan's powerful, uplifting GOOD MORNING, KARACHI. And on Closing Night, the festival throws open their doors for the New York Premiere of India's acclaimed 2013 Oscar submission, THE GOOD ROAD - all with filmmakers in attendance! Anima State. Directed by Hammad Khan. 2013. U.K./Pakistan. In Urdu (with English subtitles). World Premiere. 80 min. Ankhon Dekhi. Directed by Rajat Kapoor. 2013. India. In Hindi (with English subtitles). World Premiere. 108 min. First Sight. Directed by Joya Dass. 2013. U.S./India. In Tamil (with English subtitles). World Premiere. 50 min. I.D.. Directed by Kamal KM. 2012. India. In Hindi (with English subtitles). New York Premiere. 90 min. Qissa. Directed by Anup Singh. 2013. Germany/India/Netherlands/France. In Punjabi (with English subtitles). U.S. Premiere. 109 min. Siddarth. Directed by Richie Mehta. 2013. Canada/India. In Hindi (with English subtitles). U.S. Premiere. 96 min. Tasher Desh. Directed by Q. 2012. India/Belgium. In Bengali (with English subtitles). New York Premiere. 118 min. Directed by Amit Kumar. 2013. U.K./India. In Hindi (with English subtitles). New York Premiere. 88 min. This acclaimed Cannes and Fantastic Fest hit explores the impact that one's choices make on the lives of others. As heavy monsoon rains lash the badlands of Mumbai, Adi, a rookie cop out on his first assignment, faces a life altering decision when he must decide whether to shoot or not to shoot. The film presents three scenarios, all resulting from the decision that Adi makes. Each decision takes him on a journey that pits him against a system that demands a compromise on his morals. Finally, however, Adi and we come to understand that every choice has its price. Directed by Sabiha Sumar. 2013. Pakistan. In English and Urdu (with English subtitles). New York Premiere. 85 min. Young Rafina is coming of age in Karachi, with chance and willfulness propelling her rise as a runway and billboard model. As she climbs the social ladder, she's caught between two men with very different visions of Pakistan - and the role of women. Arif, a partier, dreams of a better world through political action, but is molded by a traditionalism that doesn't account for her dreams. Urbane and ambitious Jamal is convinced the fashion industry can help women shed their chadors and lead Pakistan into the modern world. Rafina's story becomes the story of the people living in Karachi who try to reconcile the demands of tradition and the aspirations of modernity. The film weaves this contradiction not only through its characters and their turbulent lives, but through the very landscape of Karachi, where political extremism and fashion, convention and novelty can - and do - co-exist. Directed by Gyan Correa. 2013. India. In Gujarati (with English subtitles). New York Premiere. 92 min. State Highway 378, on the border of the Rann desert, is as beautiful as it is unsettling. Accidentally separated from his parents, 7 year-old Aditya finds himself in the care of a truck driver and his assistant, both operating just beyond the law - and being closed in on by the police. Poonam is a 9 year-old girl looking to hitch a ride to her grandmother's home, but tired and hungry, unwittingly ends up in a desolate brothel. As the realization of where is dawns on her, she is forced to choose between staying with the new friends she's made or finding a ride on the highway. The characters on The Good Road meet each twist, turn, dip, and rise - in the road and their fates - with stubborn hope. Take a journey through a barren land, and into the heart of unseen India - where acts of great compassion are shown to utter strangers. The Tenth Annual South Asian International Film Festival runs from Tuesday, December 3rd, 2013 to Sunday, December 8th, 2013 in New York City, at the SVA Theater and NYIT Auditorium. For additional information on SAIFF 2013, including screening dates, locations, featured guests, and ticketing information, please visit www.saiff.org. GANDU Director Trips Out A Classic. Watch The TASHER DESH Trailer.